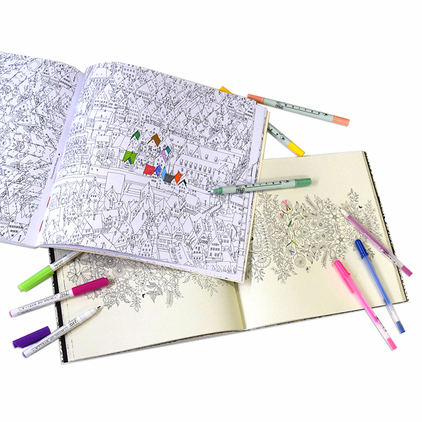 Browse our favorite picks for use in coloring books! 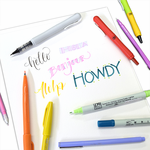 From getting color into the smallest spaces, to adding special effects like glitter- these markers will help you turn your coloring pages into works of art! We love the Zig Memory System Dual Tip markers because not only do they give you two tips in one pen, but they also use a water-based ink that won't bleed through standard coloring book pages!